Stand Firm. – Jesus is the well of the living water, the Holy Spirit. “Be alert and of sober mind. Your enemy the devil prowls around like a roaring lion looking for someone to devour. Resist him, standing firm in the faith, because you know that the family of believers throughout the world is undergoing the same kind of sufferings. A roaring lion looking for someone to devour. Such is the picture of the devil. A lion who sees a prey will stealthily seek to attack and capture. Right before he attacks, he will roar to subdue the prey by fear. After capture, he will roar to celebrate. Yet, a lion who fears and is uncertain of what’s before him will roar from a distance, roar to share how upset he is by the threat. 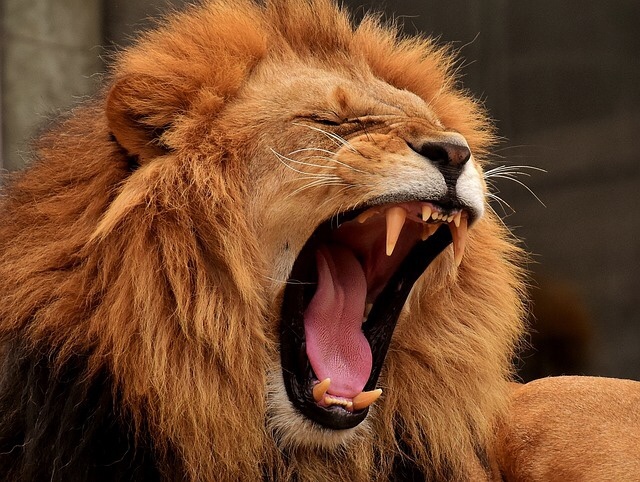 Now, if the threat moves as if won over by the roar, then the lion will newly believe to have the upper hand and thus chase after the threat that has now become a candidate for prey. So he will learn that he can use his roar to deliver fear in the hope that whatever seems a threat will be unsettled and try to flee. Yet, Peter said, “Resist him, standing firm in the faith.” Resist him, standing firm in the new covenant. Stand firm in the new covenant. Animals react certain ways when they’re threatened. Some run without making one sound, others try to see if they could cause the threat to run. Resist the devil by standing firm in the new covenant. You will suffer all types of roarings as means to instill fear in you. Yet, you have not received a spirit of fear, but the Spirit of freedom, sound mind and self control. If the devil could do anything to you, it would have done it already. And if it could do anything without seeking permission from our Father in heaven, it would have done it already. See, God works out everything to our benefit. He works out everything to the praise of His Glory, Christ Jesus. Resist the devil by standing firm in the new covenant, Jesus. Praised be His name. Hallelujah. Praised be His name, Jesus, Amen.